Few tastes in life are as refreshing as the avocado and lime combination. This sorbet is so refreshing and tastes creamy although it is dairy-free. On a hot summer’s day, this is sure to cool you down. This is also so easy to make. I like eating this avocado and lime sorbet as a soft serve. Otherwise, you can churn in an ice-cream maker. Either way, it’s delicious. There is something pretty cool about eating a sorbet which is actually good for you – packed with nutrition from the avocados and bananas. An ice-cream machine is a great investment. It’s not something you will use everyday but if you want deliciously creamy (dairy-free or non) ice-cream or sorbet then it is a must! I’m pretty happy with my basic Kenwood version that I bought a few years ago. You’ll need to freeze the base of the ice-cream maker the day before. I am a lime addict. I buy a big bunch every week because I pretty much add them to everything : sauces, dressings, smoothies, gummies and now, sorbets! They add a much needed zing to otherwise bland foods. Eating an avocado every day since beginning the Specific Carbohydrate Diet has helped me to maintain a healthy weight. Some people think that by cutting carbohydrates from your diet, you will lose a lot of weight. I have found that by eating a wide variety of foods including healthy fats (avocados, coconut oil, olive oil etc), ground nuts and SCD yoghurt, I have been able to maintain a stable weight. The past two years since beginning SCD, my weight has hardly fluctuated at all. This is even with having vastly increased my exercise. I guess it makes sense that pre-SCD I was probably eating more but more of foods that I couldn’t digest properly. Now, I eat foods that my body has no problem digesting therefore I am getting more nutrients. 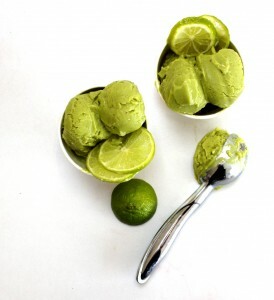 This avocado and lime sorbet is a real palate cleanser and great for the muggy, summer weather we’re having in Ireland at the moment! A delicious frozen dessert treat, free from: gluten, grains, dairy and refined sugar. Paleo & Specific Carbohydrate Diet-friendly. 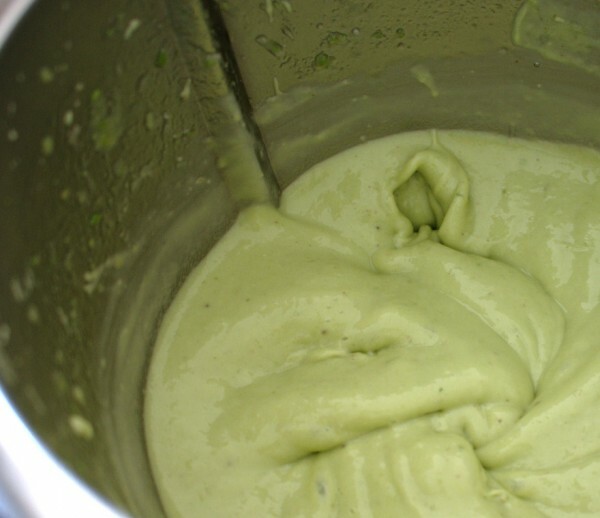 Churn in your ice-cream machine according to the manufacturer's instructions.